Following on from our very successful introductory workshop here in Bridge21, the Teaching for Tomorrow (TfT) partners our heading to Stenungsund, Sweden. 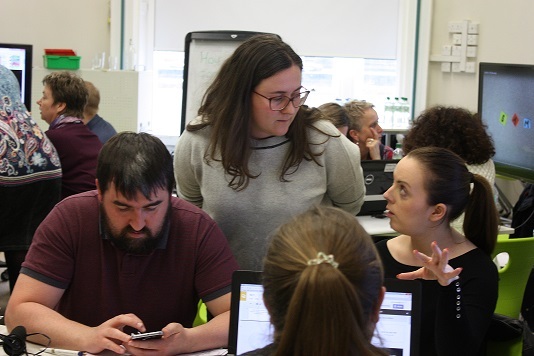 This Erasmus+ project involves sixteen teachers from Ireland, Sweden, Germany and Estonia building a community of practice to promote the use of 21st century skills in classrooms using the Bridge21 learning methodology. Teachers from St. Joseph’s Secondary School, Rush and Stepaside Educate Together Secondary School will again meet up with colleagues from Vändra Gymnasium, Herman-Nohl-Schule and schools in the district of Stenungsund. Our workshops in Sweden will focus on 21st Century assessment strategies and their use in the classroom. This entry was posted on Wednesday, September 28th, 2016 at 11:05 am. It is filed under Bridge21 Blog. You can follow any responses to this entry through the RSS 2.0 feed.